Samsung announced a second version of its Galaxy Note phoneblet that will be hitting its homeland. The Korean edition of the 5.3" droid will be carrying an LTE radio, adding ultra-fast network data to the already juicy specs sheet. The 4G connectivity and the mandatory for Korea CDMA radio seem to be the only difference between the international Galaxy Note and this newly introduced version. There is still an Exynos chipset, sporting a couple of 1.4GHz Cortex-A9 cores, under the hood and a 5.3" Super AMOLED of WXGA resolution on top. You are welcome to check out our in-depth Samsung Galaxy Note review, which should answer any questions you have about the device. 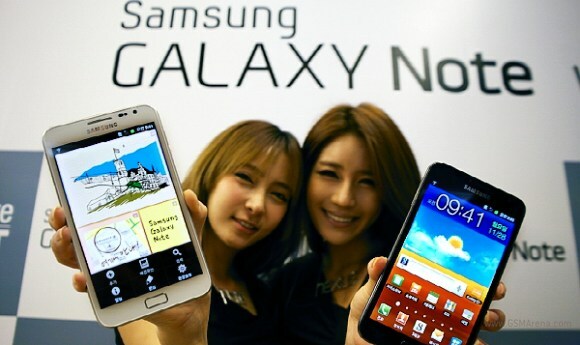 Samsung didn't mention if it plans to extend the Galaxy Note availability to other markets in the near future. Most notably the US, the second largest smartphone market in the world, is still deprived of the phoneblet. the cpu doesn't make a difference. LTE is a protocol. The CPU processes things. they are 2 completely different things. I thought their exynos CPU doesn't support LTE or is that just have to do with US Carriers?